A club gigger's best friend&mdash easy to carry, replaces all your pedals, and packs a serious punch! The Fender Dyna-Touch III Princeton 650 Guitar Combo Amp responds dynamically to your touch, sounding cleaner or dirtier depending on how hard you play. 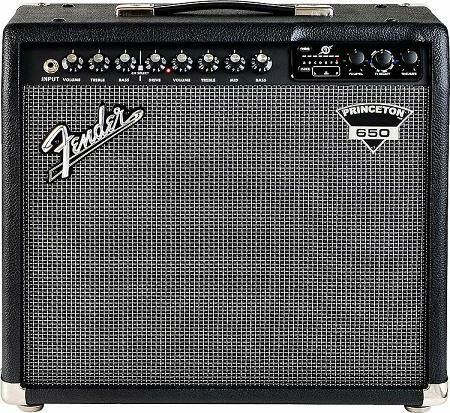 Premium details like nickel-plated steel hardware model-specific, handcrafted DSP effects and a 12' Celestion speaker put the Fender Princeton 650 amp in a league of its own. A new look plus seven new timbre filters, channel memory, tuner, and external speaker jack mean this Fender combo amp delivers professional performance for an amazingly low outlay. It's the one you need, and it will never let you down. Go for it!